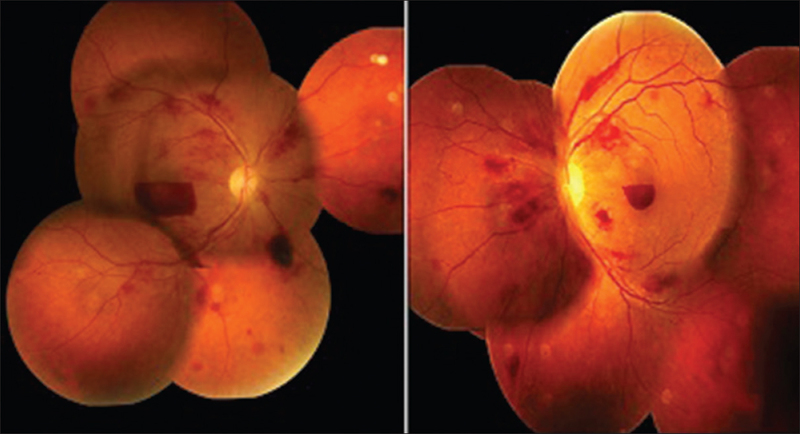 A 25-Year-Old Male Complained of Blurred Vision for the Past 2 Months. Few Years Back, He Underwent a Refractive Surgery. What Do You See? 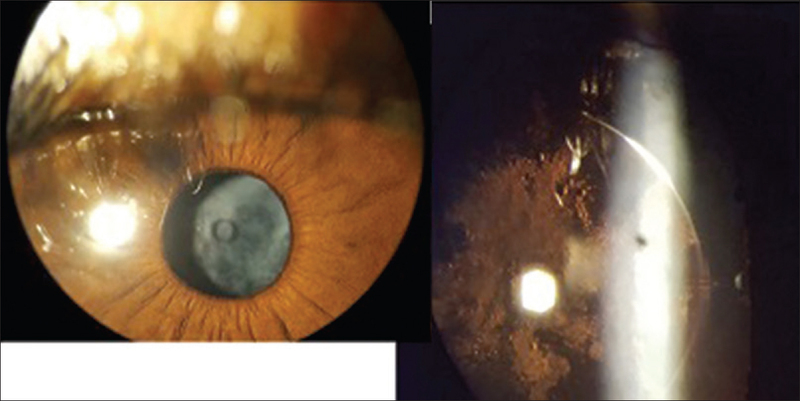 Identify the Line in the Corneal Stroma. What Is the Name of This Device? 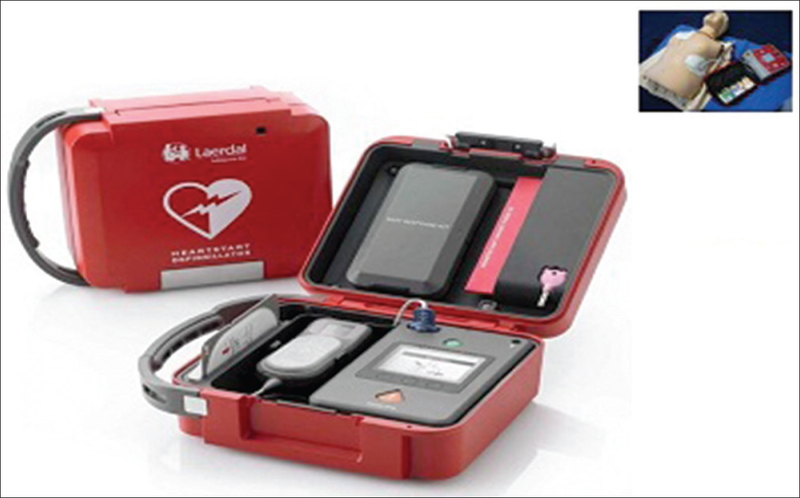 A 28-Year-Old Female Complained of Severe Headache. 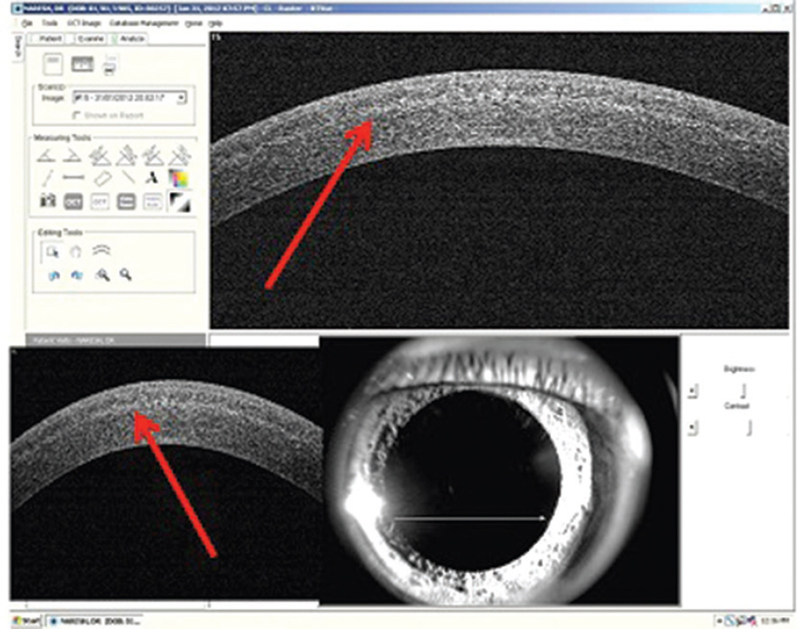 Her Fundus and Fields Are as Shown Below. Magnetic Resonance Imaging Brain Was Normal and Lumbar Puncture Reported High Cerebrospinal Fluid Opening Pressure. What Is She Suffering From? 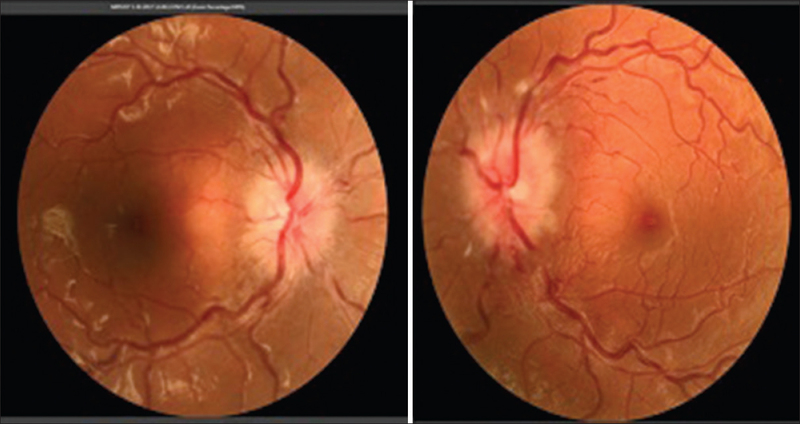 A 37-Year-Old Male Came With a Complaint of Sudden Blurring of Vision in Both Eyes and Fundus Showed Bilateral Submacular Hemorrhage in Addition to Superficial Flame and Deep Blot Hemorrhages and Roth Spot. His Medical Records Showed Treatment for Alcoholic Liver Disease, Blood Transfusion for Severe Dimorphic Anemia (Hb: 3 G/dl), and Chronic Kidney Disease.